The largest U.S. analysis of hospitalized adult swine flu patients has found almost half were healthy people who did not have asthma or any other chronic illnesses before they got sick. Health officials released the surprising results at a news conference on Tuesday, noting that 46 percent of 1,400 hospitalized adults did not have a chronic underlying condition. They have said before that the majority of swine flu patients who develop severe illness have some sort of pre-existing condition, but the new data suggest the majority may be slimmer than was previously thought. Health officials cautioned that the new analysis is preliminary and did not count obesity as an underlying condition. Earlier research has suggested obesity could be a separate risk factor for severe swine flu illness. Further analysis that counts obesity could change the results, said a spokesman for the Centers for Disease Control and Prevention. The CDC looked at 1,400 adults and more than 500 children with swine flu who were hospitalized in 10 states at medical centers participating in a special disease surveillance network. The hospitalizations occurred from April through the end of August. The new virus, first identified in April, is a global epidemic. The CDC doesn’t have an exact count of all swine flu deaths and hospitalizations, but existing reports suggest more than 600 have died and more than 9,000 have been hospitalized. Health officials believe millions of Americans have caught the virus. The virus is hitting young people harder. Experts believe older people are suffering from it less, perhaps because they have a bit of immunity from exposure over the years to somewhat similar viruses. On Tuesday, Schuchat said that five additional pediatric swine-flu deaths have been reported since late last week, bringing to 81 the total count of U.S. children who have died with the infection. 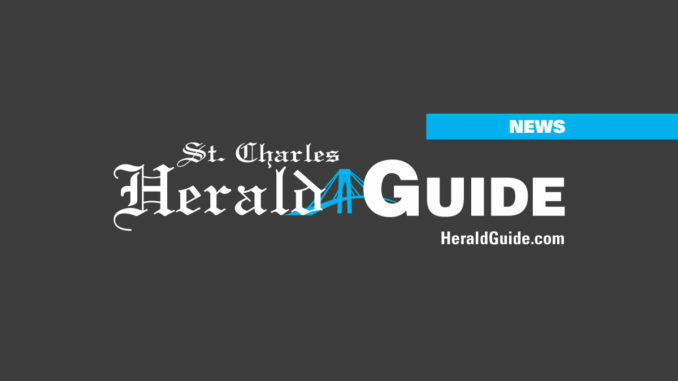 Physicians at the St. Charles Community Health Center began administering doses of the H1N1 nasal spray vaccine on Monday. The center, which received 1,000 vials of the new vaccine, is offering it to the elderly and young children first. The center also recommends that those who meet the necessary criteria should get both the seasonal flu and H1N1 vaccine. Luling’s St. Charles Hospital has yet to receive any doses of the H1N1 nasal spray vaccine. Hospital spokesperson Brandon Kelly says that when received the vaccines will be placed on reserve in limited quantities for front-line health care workers and in-patient cases. “The hospital recommends that the general public contact their private physicians to receive the vaccine.” said Kelly. Lifestyles Editor Heather Breaux contributed to this report.